Cooperative majors IFFCO and Kribhco have bagged majority of Fertilizer Association of India (FAI) Annual awards announced recently, giving private players a run for their money. 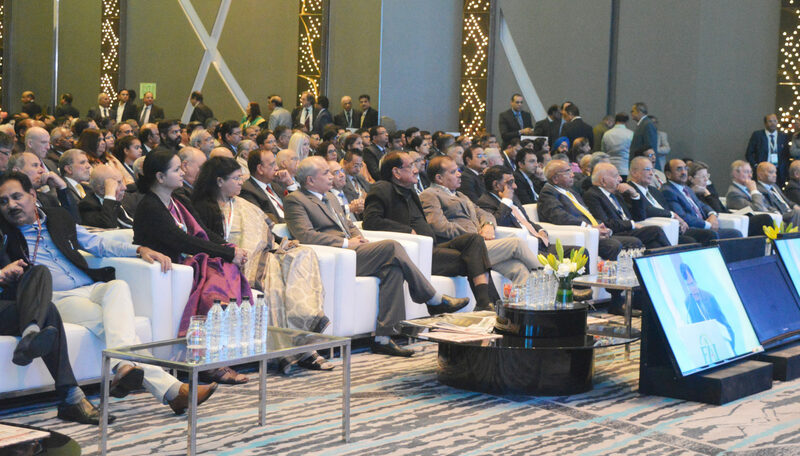 The awards are to be presented in FAI’S Annual Seminar 2018 that will be held from 5-7 December 2018 at Hotel Pullman, Aerocity in New Delhi. While several units of IFFCO have bagged awards in different categories, Kribhco continued its winning streak in the field of film production. The theme of this year’s seminar is “Making Fertilizer Industry Viable and Vibrant”. Uttar Pradesh based IFFCO Phulpur unit has won the FAI Award in Environmental Protection in Nitrogenous Fertiliser Plants Category for the year 2017-18. Its Kalol Unit received the award for getting runners-up FAI Environmental Protection in Nitrogenous Fertilizer Plants Category for the year 2017-18. IFFCO MD Dr U S Awasthi tweeted to each of them congratulating them on their sterling performances. To the Phulpur team he tweeted, “Heartiest Congratulations to #IFFCO #Phulpur Unit @mukul_smukul & team for winning #FAI Environmental Protection Award in Nitrogenous Fertiliser Plants Category for the year 2017-18. Good work @bs2709. Best wishes to everyone. #FAIAward @faidelhi”. IFFCO Pradeep has won FAI Environmental Protection Award in NP/NPK Fertiliser Plants with Captive Acid Category. Awasthi tweeted for Kalol and Paradeep too. The 2nd largest fertilizer cooperative in India KRIBHCO’s latest film on “Doubling Farmers Income” titled “Ek Nayee Udan- Samridh Kisan” has been adjudged as “The Best Video Film” award for the year 2018 by FAI. Readers would recall that last year, “In the best video film category Kribhco Chairman Chandra Pal’s son Yashpal bagged the top award for his film “maatti”. Kribhco was declared runner up for its video film “Aa ab laut chalen”. “It is noteworthy that we have been receiving awards on our films consecutively for the last several years and last year also we earned this award”, read a press release from Kribhco. The Fertiliser Association of India (FAI) is a non-profit and non-trading company representing mainly fertiliser manufacturers, distributors, importers, equipment manufacturers, research institutes and suppliers of inputs. The Association was established in 1955 with the objective of bringing together all those concerned with production, marketing and use of fertilizers.